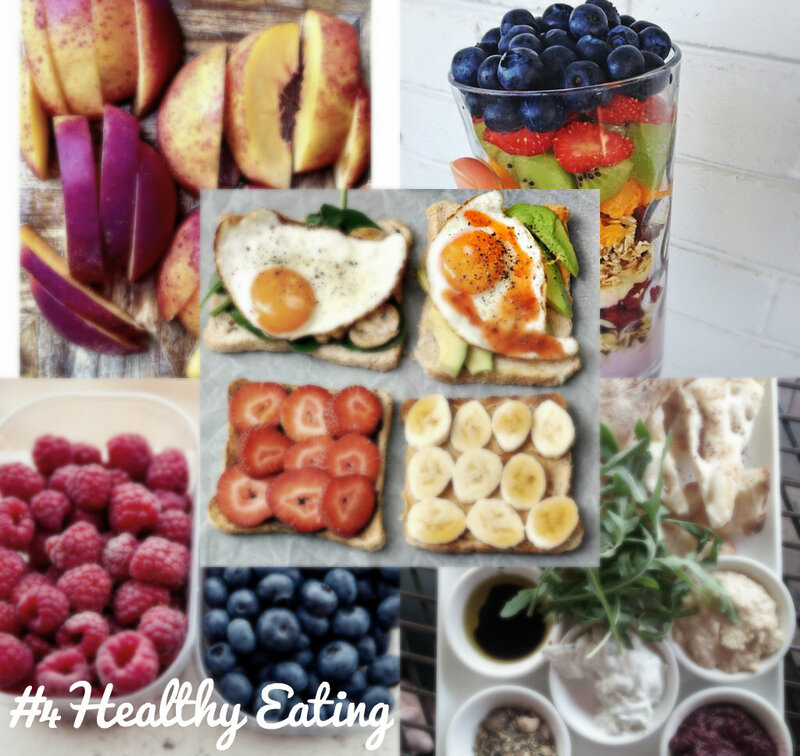 The Sunday Topic #4 Healthy Eating. I don’t mean you have to go on a juice detox for a million years no no no!! I mean that you should make sure you have your five a day because they’re important if you want to live a healthy lifestyle. People think that if you want a healthy body all you have to do exercise however abs are actually made in the kitchen. The food you eat has a massive impact on your body as studies have recently shown we’re actually consuming more sugar than we think. This is worrying as we don’t actually have a accurate measurement on how much calories/sugar etc..we consume each day. I try so hard to not going to lie I actually eat so much rubbish too and I eat more than I should. I try to eat healthy during the week by consuming lots of fruit, vegetables or salad then on the weekend I like to treat myself with a take-away or some sweets. I’m not strict about my diet but I like to watch what I eat because I don’t want to have any health problems in the future due to my diet. I’m actually quite relaxed about my eating if someone offers me something unhealthy to eat I defiantly won’t say no! There’s so many positive things that come with eating healthy first of all it helps your body and will reduce the risk of health problems later on in the future. It can also make your mindset positive because if you’re eating healthy and know that it’s going to help your body you will be constantly happy. Eating healthy helps many aspects in your life for example it makes you less sleepy so that you can do more things during the day and get more done. It also helps your sleep as it’s easier for your body to digest therefore if you’re eating late it won’t take long for your body to digest and you won’t have that bloated feeling when you go to bed. For some people healthy eating becomes an obsession which is a bad thing because you could be lacking the nutrition that you need by banning certain foods. This can also cause you health problems even though you might not realise it like low iron for example. In my opinion if you want to become a healthy eater but don’t know how to go about it then ask someone who is knowledgeable about this topic. Keeping the healthy eating up can be really hard because nowadays you’ve got so many distractions there’s so many different unhealthy foods that you can choose from. However I find that if you have a goal it’s really easy to keep up with. Also if you have someone to do it with then that’s even better because when you’ve had a bad day you can talk about it with them. The more motivation the better I say!! I defiantly think that I will try and keep this healthy lifestyle up as I’ve seen a massive improvement in my hair and skin. My hair has become less oily and my skin has become more clearer and less oily as well. I think for me the healthy eating during the week and treating myself during the weekend is the best because I know eating healthy 24/7 won’t work for me because I love cakes, sweets etc..way too much. "The Sunday Topic #5 Ariana Grande ♥"